Small businesses face issues when planning and launching marketing campaigns because they have less revenue, capital, and resources. Content marketing is a great option for your small business because it is affordable and you can build a relationship built on transparency and authenticity. A well-documented strategy simplifies your marketing activities and helps you meet your goals. By following these four steps, you can uncover new business ideas and decide what improvements or adjustments you need to make. The purpose of content marketing is to establish a brand identity and build a relationship with customers. Research is the first step in developing your content marketing strategy. It will help you determine what your audience wants and what your competitors are doing. You’ll need to research current trends and popular platforms for promoting and distributing your content. Market research is important to any strategy, and content marketing involves making a real connection with your audience and offering solutions to their problems. You need to consider what your target audience wants and provide it for them. Look at what your competitors are doing regarding content marketing and what types of content work for them. Even a small business can mimic larger corporations’ content strategies on a manageable level. Research current trends to develop your content based on what users want the most, and pick platforms for distributing your content. Social media is a great place for small businesses to distribute content; however, do not take on too many sites. An active online presence is better than appearing on multiple sites. To know what content to create and which platform to distribute it on, you’ll need to understand which types of content work best for different platforms. For example, content which is highly visual — such as images — is better for sites similar to Instagram, while links to blog posts are better for sites such as Twitter and Facebook. Current trends, such the popularity of live Facebook videos, can be used to build a relationship with your audience. Live Facebook videos have a 135 percent more organic reach, yet most marketers are not taking advantage of it. The next step is setting your marketing campaign goals, which are what actions you want your audience to take. Set objective goals that are specific to the needs of your businesses and marketing campaign. Establish timeframes for accomplishing each step of developing your strategy, and determine what time and budget investments you need. 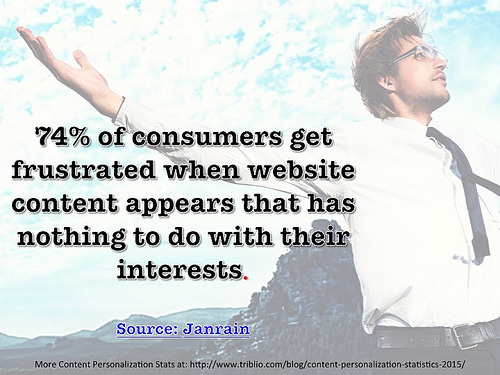 Content marketing goals help you communicate with existing customers and build relationships with potential customers. This step is an opportunity to build up your e-mail list or establish your brand. Document your goals to create the foundation for your content marketing plan. You can then determine what to measure for each goal; for example, if your goal is to increase brand awareness, you could measure the number of social media shares your content gets. Set both long-term and short-term goals to review when you measure effectiveness. Next, draft your content marketing strategy by using your research and goals to determine your course of approach. Segment your strategy into phases, such as building a blog archive or establishing a social media following. Plan what type of content to create, when to distribute, and what platforms to use. You can create content in bulk and spread the distribution out over months. Because it needs to be consistent, you want to have a schedule for creating new content as well as its distribution. Once you develop your content, you can optimize it for search engines by using keywords. Search engine optimization (SEO) uses keywords in content to find query results and places the best matches first. There are two types of keywords. Short-tail keywords are usually one or two words, and long-tail keywords are several words or phrases. For example, searches for car repair with short-tail keywords are “car repair” or “mechanic shop,” while a long-tail version is “mechanic car repair shop.” There are ways to use keywords that will not hurt your content. For example, you can use them in meta-descriptions, titles, and summaries. For small businesses, there are fewer people to handle the responsibility of content marketing. However, resource allocation is still an important part of your plan. Determine who is going to handle the different aspects of content marketing. 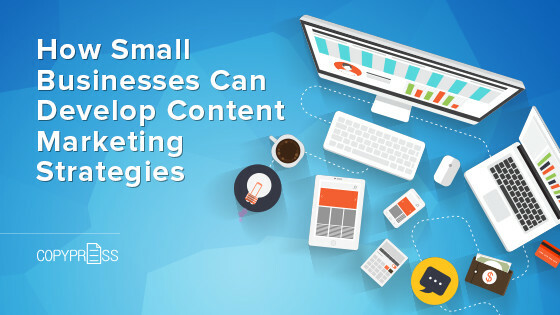 Small businesses can always benefit from tools and resources to help streamline content marketing. It is worth the investment if you need help fulfilling your plan. Always include flexibility, since any strategies are ongoing and may require adjustments to stay on target or to reach new goals. Distribution is the last step, and strategic distribution is important to content marketing. Keep it simple by setting up a website and a social media account to share links to your blogs to drive traffic to your official website. Share a variety of content types on your social media and in e-mails to reach buyers at different stages of their journey. Another important part of the distribution is regularly measuring key performance indicators (KPIs) to determine how well your content is doing and make necessary adjustments. In conclusion, it is also important to understand the buyer’s journey and which type of content is best for each stage. You want content that covers all the stages linking to each other and your website. Buyers go through these stages from awareness to consideration and finally the decision stage. Providing content for all stages can help buyers through these stages quicker. For example, you can link a blog to a live demonstration linked to a guide.